Can you remember where you were when the idea for Wimpy Kid popped into your head? Yes! I was in my apartment near Boston. I had been keeping a journal, which I filled with cartoon drawings. I realized the format was appealing, and I thought that if I wrote for kids, I might have a shot at success. How painful, or funny, was it to drag up all of those middle School memories of your own? It was a lot of fun. I don’t have fond memories of middle school, but I think bad memories can make for good comedy. Where did you grow up and what was a being a kid like for you? I had a normal upbringing. I think my stories are grounded in real life, and my childhood was no different from anyone else’s. Did you ever write a Diary? Sorry, a Journal? I kept a journal in my late 20s to help motivate me to work on my cartoons. I wanted to be a newspaper cartoonist, but my journals inspired me to become an author instead. How often are you in schools checking out what kids get up to? Never. I wish I could become a teacher part-time, because it would fill my head with ideas. Or do your own sons provide you with all the ammunition you need to write the Wimpy Kid books? I don’t get a lot of ideas from my sons, but it is great to see childhood through their eyes. The best thing I can do to write is just be a dad and experience life as everyone else does. Did you ever think you’d write (or draw) for kids? What were your earliest, craziest ambitions? I didn’t! I wanted to be a federal law enforcement agent at one time. I really liked Judy Blume, and my favourite book was Tales of a Fourth Grade Nothing. I liked the main character, Peter Hatcher, because he seemed like an ordinary kid I could relate to. And I liked the humor, which was realistic and not outlandish. Do you prefer writing or drawing? I struggle mightily with both! I’m almost always under deadline for something, so it takes away a lot of the joy I might have if I could write or draw casually. I crave the satisfaction of being done with something rather than being in the process. Greg Heffley is not always easy to like. Have your grown to love him over the course of writing books about his life? Because Greg is close to my own personality, I don’t see him in the way I see other characters. 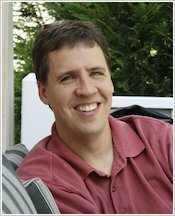 I think Greg is flawed, but in a realistic way that most people are. Do you think kids are the same the world over? That they have the same hopes, fears and aspirations? I think most kids are fundamentally the same. I’ve been surprised that my books have done well outside of the United States, and it confirms the feeling that kids are the same everywhere you go. What was your tactic for surviving Middle School? Any tips? I tried to stay invisible! Middle school wasn’t much fun for me. We had some bullying going on, and the best thing to do was to stay out of their way. Can you write and draw on the move? Or do you have to be at home, at your desk, total quiet, no interruptions? I do all of my illustrations on a computer tablet, so that makes it hard to draw everywhere I go. But if I’m going on a long trip, I’ll bring all my gear with me. How involved were in the film making process? I was very much involved. For each film, I was on set for about half the time, and I do a lot of work before and after the film gets made. But during filming, I’m a bystander. 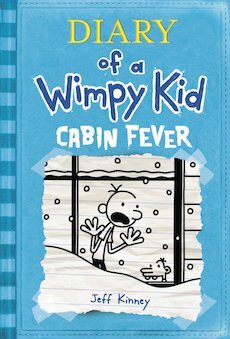 Diary of a Wimpy Kid: The Third Wheel (book 7) is out on November 14th 2012! Diary of a Wimpy Kid is the fulfilment of a life-long dream. I had always wanted to be a cartoonist, but I found that it was very tough to break into the world of newspaper syndication. So I started playing with a style that mixed cartoons and “traditional” writing, and that’s how Diary of a Wimpy Kid was born. The book centres around a middle-school student named Greg Heffley who thinks very highly of himself, but is oblivious to his own imperfections. When I was eight or nine, my older brother, Scott, played a practical joke on me. On the first night of summer vacation, Scott woke me up in the middle of the night. He was dressed in his school clothes and was wearing his backpack. He told me that I had slept through the whole summer, and I had even missed our family’s trip to Disney World. Then, he told me that luckily, I had woken up in time for the first day of school. So I got dressed for school, went downstairs, and made myself breakfast. I don’t know how long it took me to figure out it was 2:00 in the morning. I’ve got this story in my book. If you could choose any story to live in, which story would it be? Why? That would have to be either The Lion, the Witch, and the Wardrobe or Jurassic Park, and both for similar reasons. The Lion, the Witch, and the Wardrobe teased me into thinking there might be a magical world right in the back of my closet. And Jurassic Park teased me into thinking I might actually get to see a dinosaur one day. I’ve always felt disappointed that I couldn’t experience what those two books’ writers seemed to be promising was possible, so I’d love to be able to see those things with my own eyes. Describe your most memorable teacher. My most memorable teacher was named Mrs. Norton. She was quite a bit older than the other teachers in my elementary school, and not, from outward appearances, the type of person you’d expect might place a high value on humour. But Mrs. Norton encouraged her fifth-graders to try to be funny. There was one kid named James who stayed quiet the whole school year, and on the last day of class, Mrs. Norton invited James to do anything he wanted for five minutes. Without hesitation, James jumped up on a desk and did a spot-on impersonation of Charlie Chaplin, including a soft-shoe routine. Mrs. Norton could always bring out the best in kids, and she brought me out of my shell, too. Tales of a Fourth Grade Nothing by Judy Blume. In terms of humour, no other story even came close. When I did a book report on Tales of a Fourth Grade Nothing, I felt like I was cheating. I write for kids because I think the most interesting (and most humorous) stories come from people’s childhoods. When I was writing Diary of a Wimpy Kid, I had a blast talking on the phone to my younger brother, Patrick, remembering all of the things that happened to our family when we were growing up. I think if everyone would write down the funny stories from their own childhoods, the world would be a better place. Taking my kids to a new place…Disney World, New York City, even a local carnival…and seeing the wonder on their faces at experiencing something great for the first time. I usually pick by the sound of it. Rowley is not really a regular kid’s name; it is a town in Massachusetts. Is Greg a good role model? No. In fact, you should do the opposite of everything Greg does.